Taking over a massive 20,000-square-foot bi-level space on the Upper West Side, this affordable home-furnishings chain's first Manhattan location offers weekly changing eclectic designer furniture and decor up to 60 percent off department-store prices. Make over your pad with modern pillar candleholders ($10–$13 each), colorful fabric-covered storage stools ($15–$20), bright embroidered pillows ($25) and Louis XV–style floral upholstered chairs ($150). While I love this store in general, this particular location is terrible. The two times I've visited the store the employees were rude and I noticed because of how the managers spoke to them. It seems like a hostile work environment which made for a stressful shopping experience. This is one of my favorite places, I'm in here far too frequently. 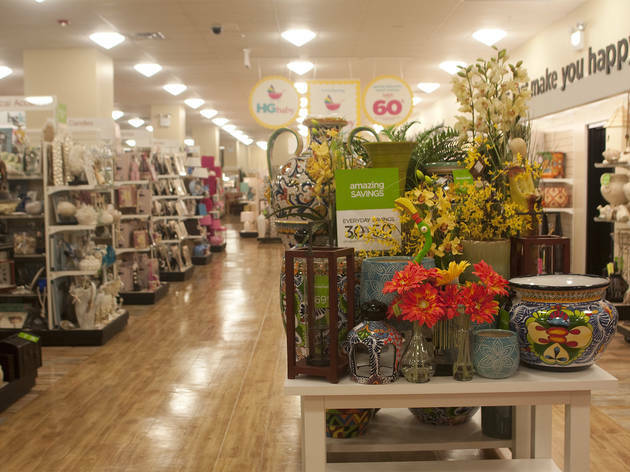 Whether you're buying for your own home, or getting a gift for some one, Home Goods has got you covered. 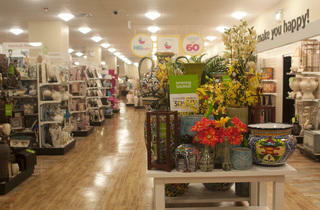 They stock a huge range of things from crockery and bedding through to furniture or teas! The products they stock are really high end but discounted so you can furnish on the cheap! I've held many a dinner party thanks to Home Goods, and bought a few cute gifts too! Just don't shop drunk... You'll buy there store.